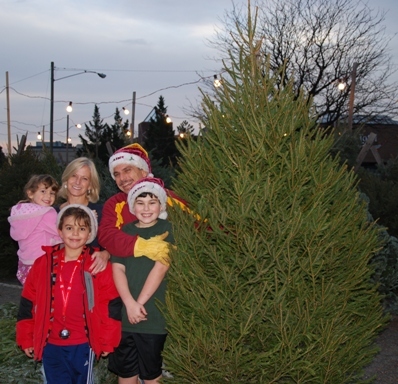 The Annandale Boys’ & Girls’ Club annual Christmas tree lot is open for business selling nursery grown, freshly cut Christmas trees from our location on Beauregard Street. The lot is located across the street from the Plaza of Landmark Shopping Center on Little River Turnpike, just west of Route 395. 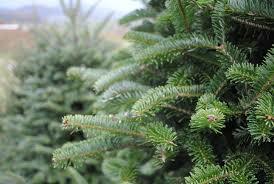 The selection of Fraser Fir, Colorado Blue Spruce, Norway Spruce, and Scotch Pine is impressive and the prices are right. Not only that but your purchases help ensure boys and girls throughout the Annandale area have access to a large variety of quality youth programs focusing on age-appropriate player development that is fun, improves self-esteem, self-confidence, and respect for others. 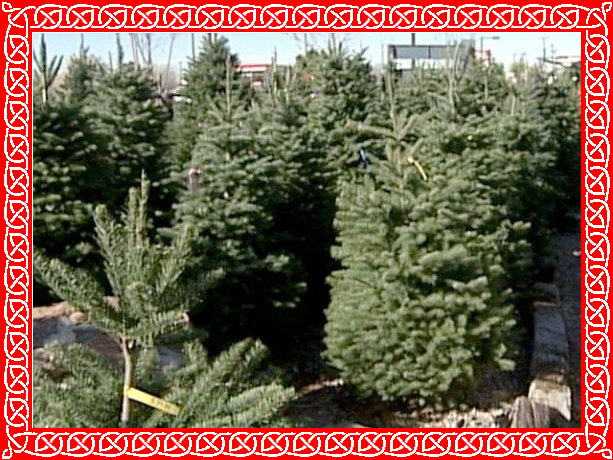 The selection of Fraser Fir, Colorado Blue Spruce, Scotch Pine, ConColor Fir and Norway Spruce is impressive and the prices are right. 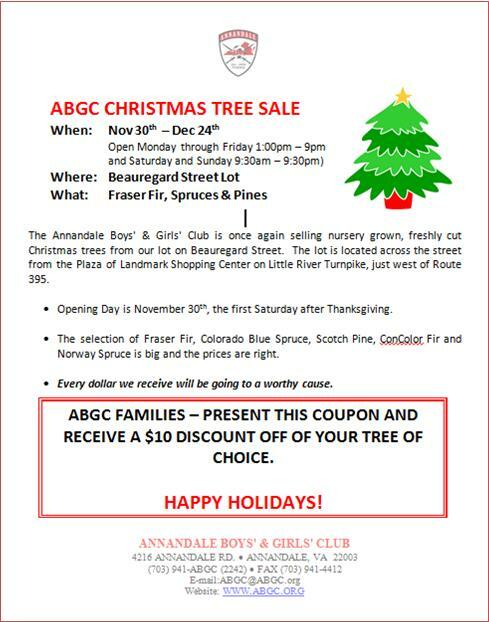 ABGC Christmas Tree Sales Begin This Saturday! The Annandale Boys & Girls Club is once again selling nursery grown, freshly cut Christmas trees from our lot on Beauregard Street. The lot is located across the street from the Plaza of Landmark Shopping Center on Little River Turnpike, just west of I-395. The large selection of Fraser Fir, Colorado Blue Spruce, Scotch Pine, ConColor Fir and Norway Spruce is terrific and the prices are great! Present this coupon and receive $10 Off the tree of your choice. The Annandale Boys’ & Girls’ Club is once again selling nursery grown, freshly cut Christmas trees from our lot on Beauregard Street. The lot is located across the street from the Plaza of Landmark Shopping Center on Little River Turnpike, just west of Route 395 and opening day is the first Saturday after Thanksgiving. Want to Save $10? Print a Copy of this flyer and bring it with you to the lot and we’ll give you a $10 Discount on any Tree. MERRY CHRISTMAS AND HAPPY HOLIDAYS FROM ALL OF US AT THE ANNANDALE BOYS’ & GIRLS’ CLUB TO ALL OF YOU.